Information: A special reprint edition of issue 1, this time in black and white. Printed on matte paper. 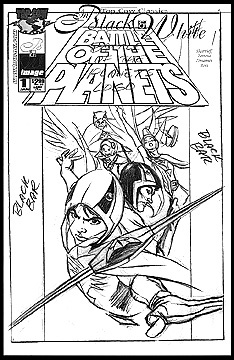 The original script for the issue is included as are black and white images of all the alternate covers for Issue 1. Art by Wilson Tortosa, story by Munier Sharrieff. Black and white.